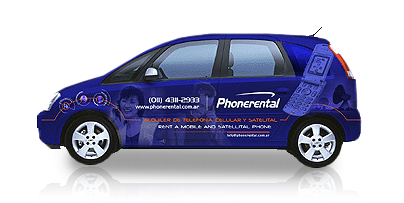 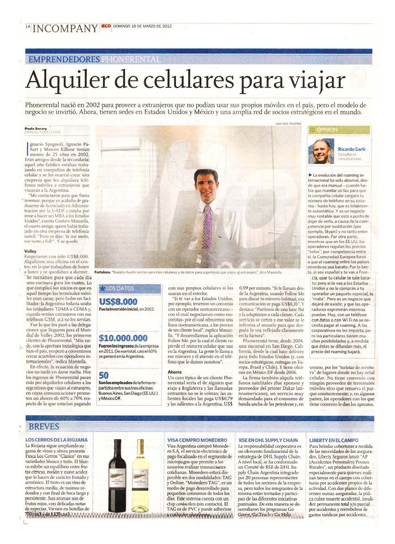 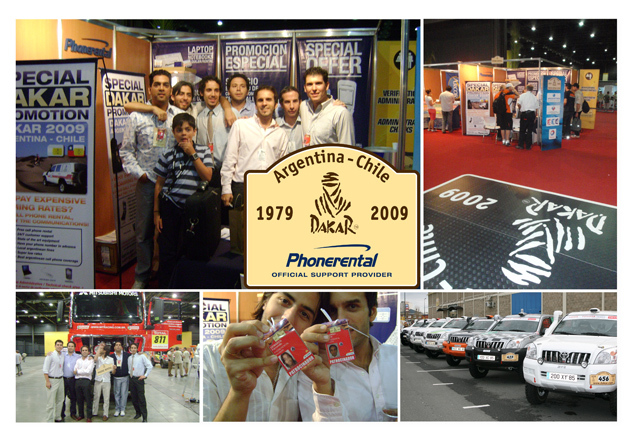 Phonerental is the market leader in temporary cellular and satellite phone rentals, providing cell phones for use in Argentina with country wide coverage. 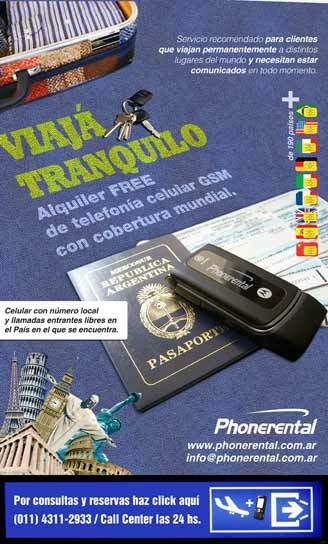 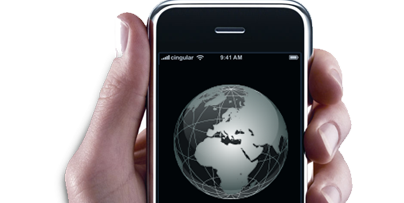 For your travel abroad, Phonerental has GSM cellular phone rentals, with coverage in America, Europe, Asia and Australia and Pacific islands. 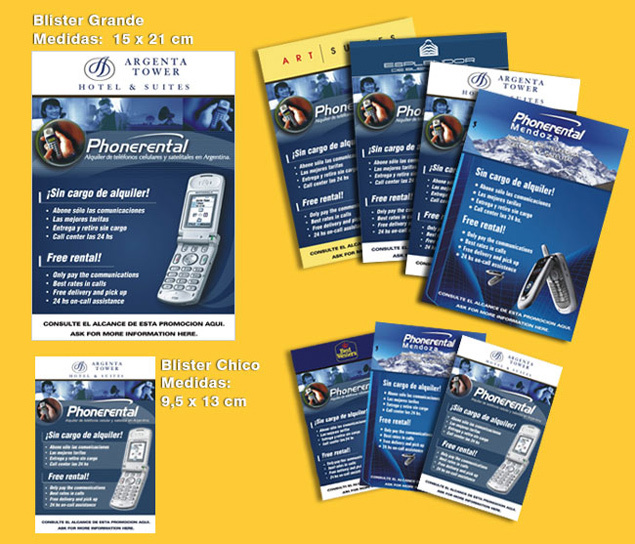 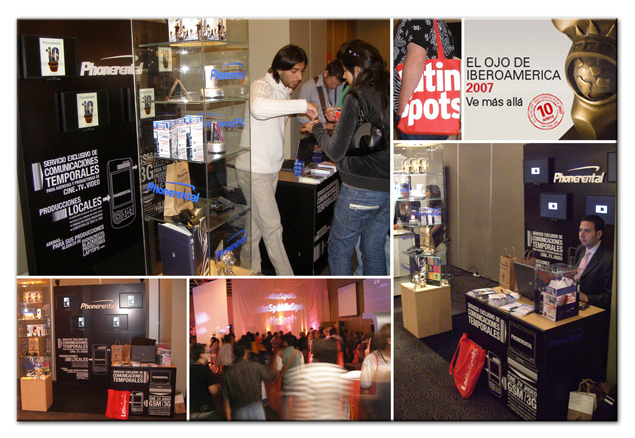 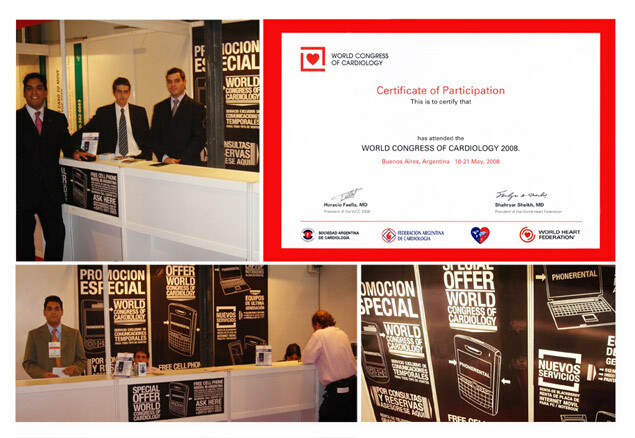 Our highly trained staff, with years of experience in the market, will guide you throught the process and give you a solution for your communications needs. 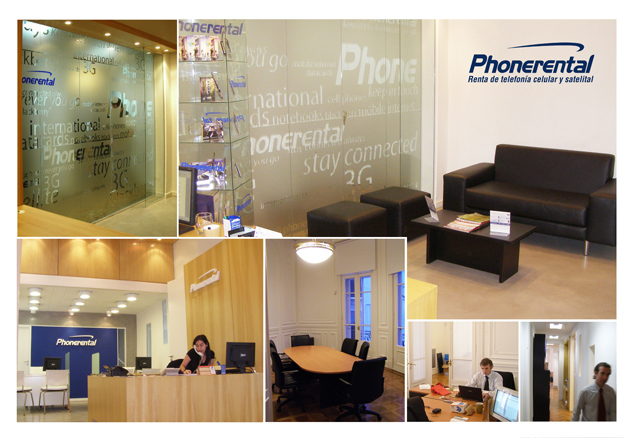 We provide this way, a complete telecommunications solution, where customer service and care is our highest priority.